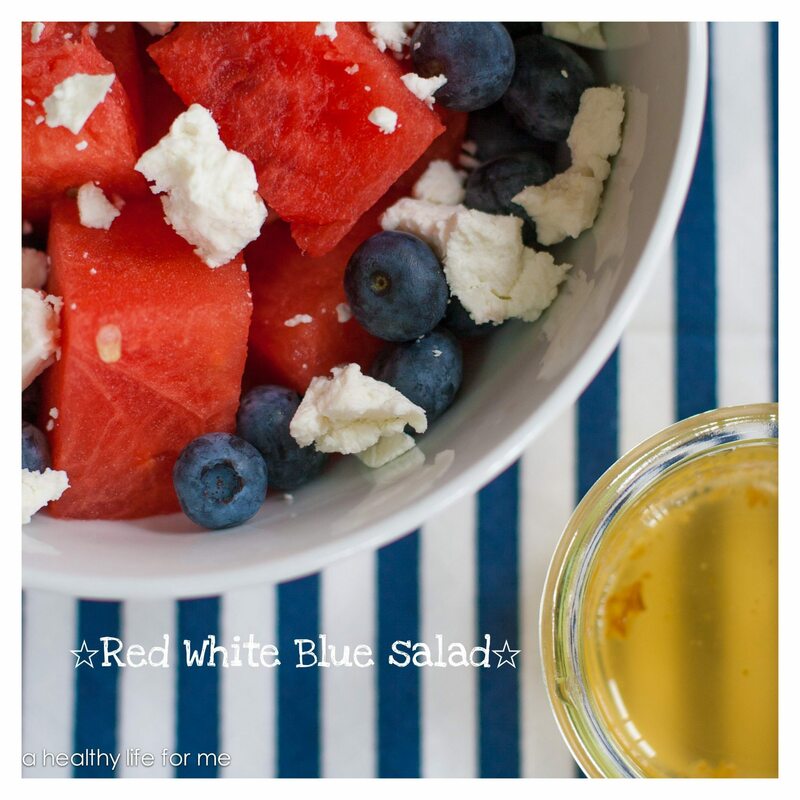 This Red White Blue Salad is not only pretty and delicious but the perfect salad to serve throughout summer and especially to celebrate the Fourth of July. Now that my boys are older we don’t do as much to celebrate the adoption of the Declaration of Independence in 1776, besides the typical grilling out, eating and going to the local firework display. Wait that’s what most of us do! When the boys were younger my husband would organize a Dad and kid campout party on the 4th. He would invite his friends with kids, and any of our boy’s friends and their fathers. The men would set up tents all over our backyard. My husband wanted the kids to feel like they were camping out, not hanging out in our backyard. So there was one rule, you were only allowed in the house for bathroom breaks. Of course not wanting to listen to my complaint about a mess in the house may have played a small part of this rule. The Dad’s would start arriving in the morning, wanting to get prime tent space. One year there were over 30 tents set up in my backyard. All the Dad’s would chip in by bringing food supplies, and beverages. Since they were arriving so early it was a lunch, dinner and morning event. My hubby did all of the organization, shopping, and grilling for the party. They did it Dad style, easy with no fuss. The kids would swim, eat anything they wanted and run the yard like banshees. Come night, my husband and a few friends would put on a firework display. Now the ladies were not invited to this party, don’t worry we weren’t offended. All of us would go out to a nice restaurant and have dinner and gab it up. Usually, we would make it back for the fireworks, but not always, too many martinis may of way laid us. Now at the end of the show, all the wives would head home and I would head up to my nice big comfy bed, while all the kids and Dads would gather around the campfire to tell ghost stories, eat roasted marshmallows and sleep under the stars or in their tents. Once when the 4th was on a Friday, the party continued on until Sunday afternoon! A lot of the kids that attended the first few parties are now adults, and when they see my husband they love to tell “remember when” stories and thank him for the great time that they had. My own boys love to tell stories and reminisce whenever they run into a Dad that attended one of the parties. It’s all about making those family memories that you hope your kids will remember and share as they get older. I hope you have a wonderful & safe 4th of July and that you make some memories that you and yours will remember! 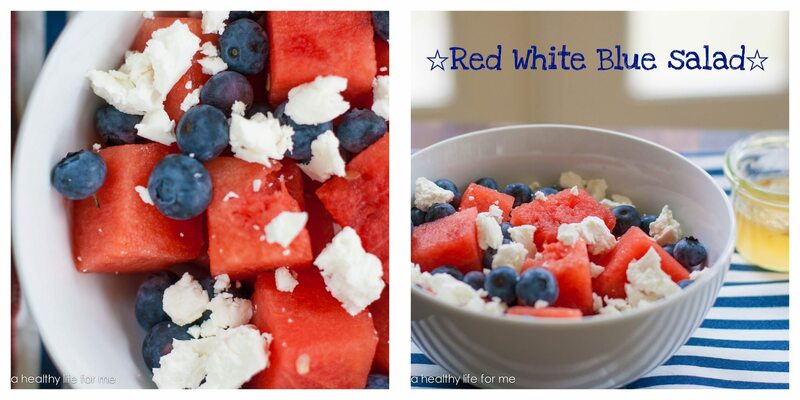 Combine watermelon, blueberries, lemon juice and honey, toss to coat. Right before you are going to serve add cheese and gently toss to combine. Is the amount of cheese supposed to read 1/2 cup? The unit of measure is omitted. Thanks! It looks delicious, and I plan on making it tomorrow!